It’s officially time to put away the parkas and pull out the cleaning supplies. We’re shaking off the chill of winter and focusing on our energies on being warm, renewed, and refreshed. While nothing helps clean out the old mental cobwebs than literally taking a mop to your kitchen floor, we don’t often think about decluttering another place in which we spend so much of our time — our social media. It's easy to be overburdened by to-do lists and the spinning vortex of notifications, beeping at us to come play the day away. Sometimes FeBreeze and Pinesol don’t totally do the trick; sometimes you have to declutter your mind and put some personal space between you and your phone. Here are some practical tips for this spring and finally press that unfollow button on those posts, followers, and hashtags that don’tspark joy. Find their profile and click on it, either from your news feed or from the Facebook search function at the top of the page. From here you can click the friend button to unfriend them entirely, or you can simply unfollow them. Find a post by the person you’re getting sick of. On their post, click the right-hand arrow and this opens up a drop-down menu. You will get several options, but you can ultimately choose Unfollow [Name]. Unfollowing a friend on Facebook simply means their posts, pictures, and events won’t show up in your timeline any more. They aren’t notified and Facebook still shows you as friends. 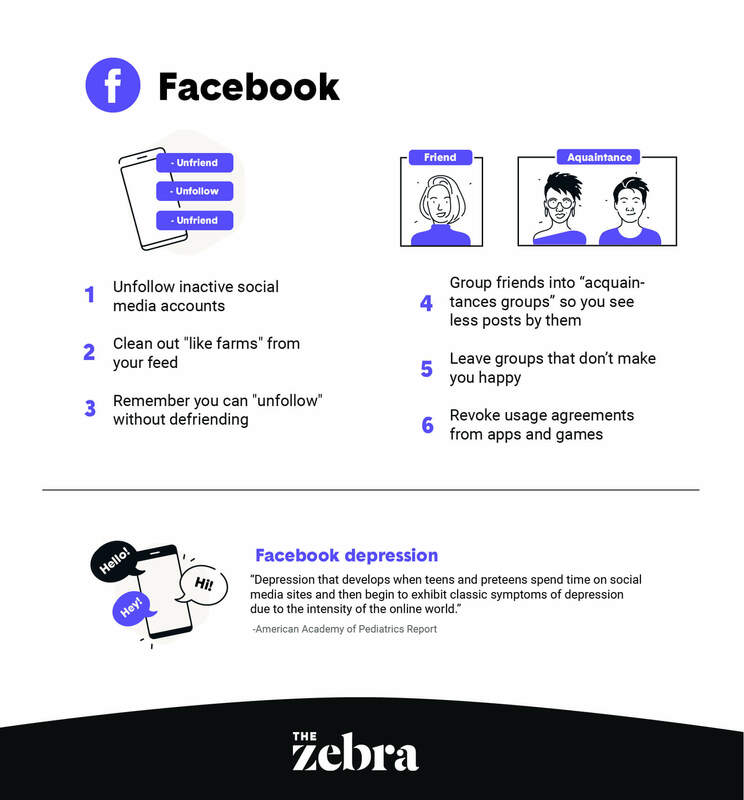 Facebook depression: depression that develops when teens spend time on social media, and then exhibit symptoms of depression due to the intensity of the online world. The most straightforward way is to simply open their profile page. If the user has blocked you, their content will be grayed out and across the top, it will state that “@whoever has blocked you.” While you won’t be able to interact with any of their content, you can also block or mute them by hovering by those three vertical dots on the right side of the page. This will provide options to mute, block, or report the user to Twitter. If you’re looking for a full list of people who have blocked you, there's no easy way to accomplish this. However, you can see if you are currently following someone or blocked by someone who is also blocking you. You have to get a little behind-the-scenes techy, but it’s not difficult. Go to your account page by clicking your image at the top right of the homepage. Then click “settings and privacy” — found near the middle of the drop-down menu. On the left, there is a long menu starting with “Account” and ending with “Accessibility”. Choose “Blocked Accounts” and you’ll be able to see a complete list of the users you’ve blocked from seeing your content. Remove those who aren’t serving you, especially on social media. Bots definitely don’t serve you or your content, so let’s get rid of them. Unfortunately, Twitter doesn’t offer a specific way to do it through their platform, but there are alternatives. Use the Fakers App to identify bot or even abandoned accounts. 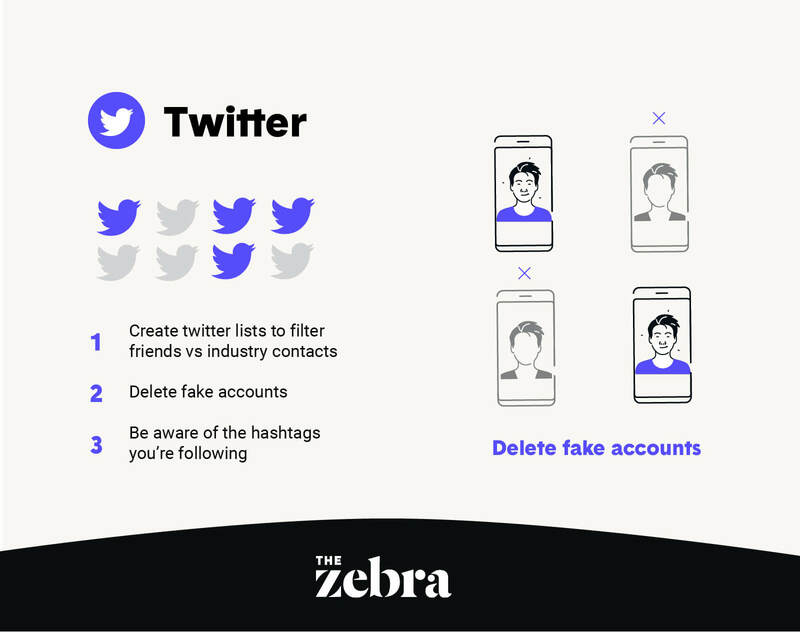 Once you’ve connected your own Twitter account, Faker will send you a list of accounts it believes to be fake. It’s not a perfect identifier but it's better than going through each of your followers individually. You can add Bot Sentinel to identify fake/bot accounts in live time, and check where your accounts stands in the eyes of Twitter itself. The free version of followerwonk does some pretty incredible stuff. Using this tool, you can see activity hours, the tweet regularity, and total tweets of those you follow or those who follow you. As if you need another reason to put down your phone . . .
Those who visited social media at least 58 times per week were three times more likely to feel socially isolated compared to those who used social media fewer than nine times per week. The more social media platforms a teen uses, the more likely they are to have symptoms of depression and anxiety, regardless of overall time spent on social media. Teens who spend five-plus hours a day online were 71% more likely to have at least one risk factor for suicide, compared to teens who spent only one hour a day online. This risk increases with only two or more hours spent online per day. Among users of Facebook and Twitter, 62% said they felt inadequate compared to other users, and 60% feel jealous of other social media users. Tap the three lines in the top right corner of the app. Tap Settings at the bottom. Tap Account, six items down from the top. Tap Your Activity, then under Manage Your Time, you can set a Daily Reminder to let you know when you’ve used more than you preferred limit. If you search for them and their profile doesn’t come up. If you go to their profile via tagged photo, and no pictures, photos, or posts are shown (“No Posts Yet”). Like Twitter, to get more data about your actual profile, you need to use a third-party app to uncover some gems. Unless you have a business account (where you can see “insights), Stories are the only place on Instagram where you can see the exact users that have been checking you out. Apps like Social Plus or Follower Insight can give you a more detailed look, but as they are not supported officially by Instagram, be careful with what you download. Instagram does not push notifications when you grab a screenshot of any photos in the home feed or stories. However, for disappearing photos or videos that are sent via direct message, you will be notified if the recipient takes a screenshot. 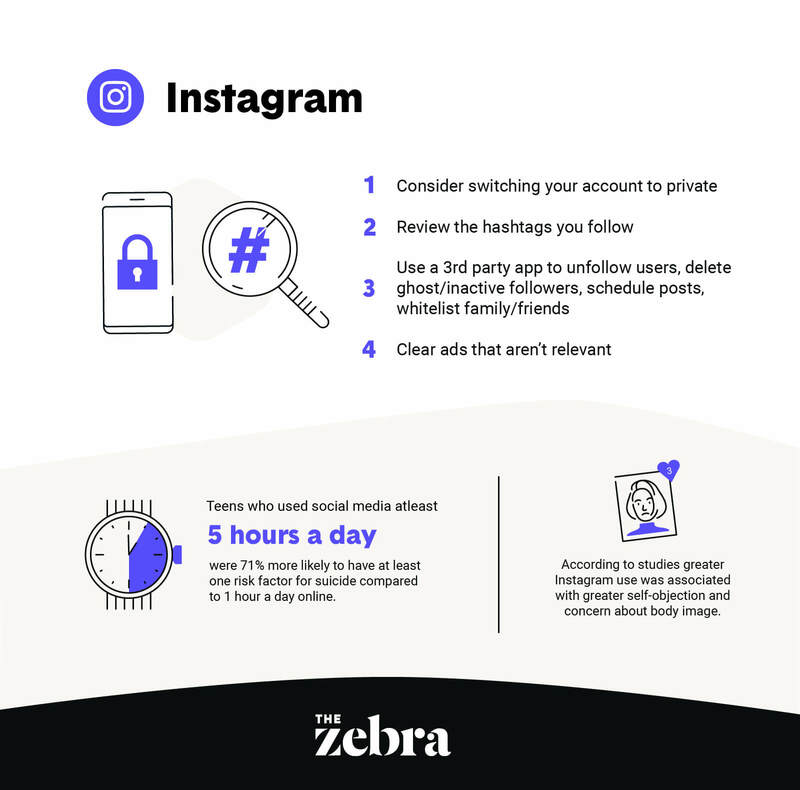 A study found that more frequent Instagram use was associated with greater self-objection and concern about body image. You might think LinkedIn is just a place for your old boss to post her rejected Medium articles, but in fact many employers look at LinkedIn as part of the hiring process. Removing old jobs and setting your intentions clearly on the app can go a long way in clearing up unnecessary notifications. There are actually three types of messages you can send on LinkedIn. Before you ask, yes, all LinkedIn messages are private between the sender and the receiver. No one else on the app will know you have sent a message, unless the message is sent directly. Messages exist between someone on your first-degree connections and groups. Invitations are requests to connect with another user. You can add a personal message (which is recommended) but not necessary. InMail communications are similar to Messages, but instead occur between you and someone who is not in your network. Unfortunately, a lot of LinkedIn’s additional features tend to be hidden behind a paywall. 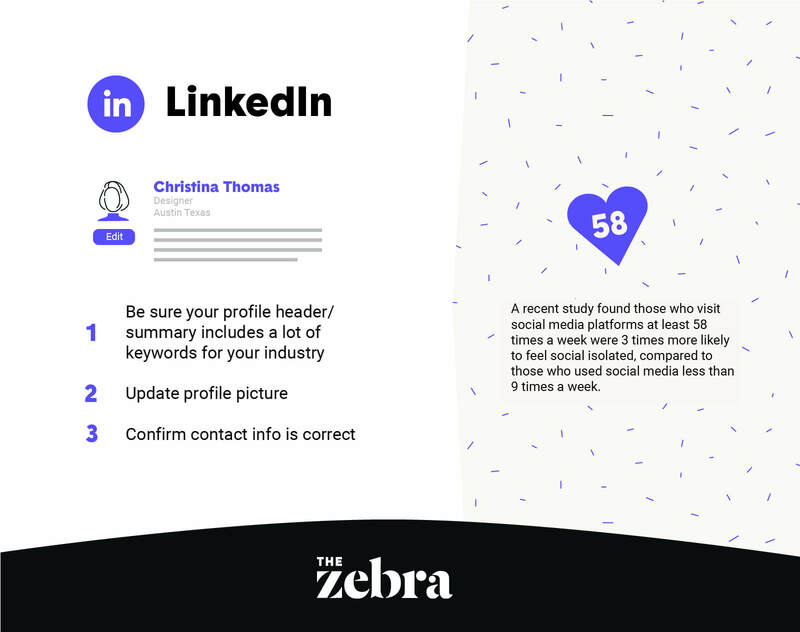 However, if you’re looking to find who viewed your profile, you can get a smaller list of people for a more general idea. To the left, look under your profile icon (generally your face). Click Who Viewed Your Profile. This will show a chart of all users who have looked at your profile over the past ninety days. Unfortunately, with the free version of LinkedIn, you can only see the name of your most recent view. Need space on your phone but not sure what apps to delete? Go to Settings, then look for iPhone Storage. At the very bottom, you can see the date you last interacted with the app. If it's been literally never, declutter your phone and delete that app for good. Twenge JM, Joiner TE, Rogers ML, Martin GN. Increases in Depressive Symptoms, Suicide-Related Outcomes, and Suicide Rates Among U.S. Adolescents After 2010 and Links to Increased New Media Screen Time. Clinical Psychological Science. 2017;6(1):3-17. doi:10.1177/2167702617723376. Smith A, Anderson M. Social Media Use in 2018. Pew Research Center: Internet, Science & Tech. http://www.pewinternet.org/2018/03/01/social-media-use-in-2018/. Published March 1, 2018. Accessed July 16, 2018. Primack BA, Shensa A, Sidani JE, et al. Social Media Use and Perceived Social Isolation Among Young Adults in the U.S. American Journal of Preventive Medicine. 2017;53(1):1-8. doi:10.1016/j.amepre.2017.01.010. Fardouly J, Willburger BK, Vartanian LR. Instagram use and young women’s body image concerns and self-objectification: Testing mediational pathways. New Media & Society. 2017;20(4):1380-1395. doi:10.1177/1461444817694499.